Last week, I walked among variegated leaves that danced in the sky around me. This week, nature painted the earth with marshmallow hues. As I watched in awe at the changing scene, Dean Martin's song, "A Marshmallow World," kept humming in my head. Being in Syracuse, Central New York for the holiday, one could expect snow to make its appearance for Thanksgiving, but I have not seen this phenomenon in recent years and was not ready for the entry. 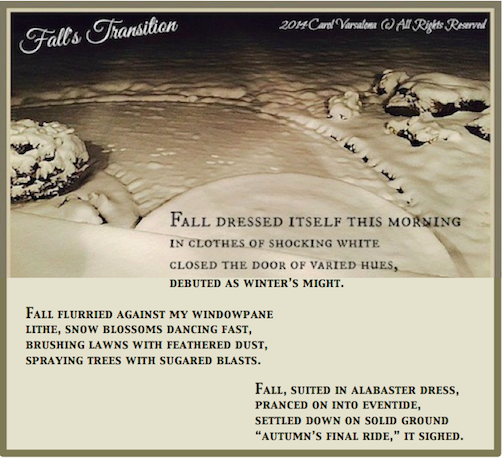 For several reasons I wrote the poem, Fall's Transition, that you will find below. First, I was surprised by nature's urge to close the fall season in such an expressive way. Secondly, I am collecting all of the Finding Fall Gallery submissions and will gear up to start building the collection. I decided to write a final poem to bring to mind the changing nature of the autumn season and wrap up the autumnal poetry collection. For those still interested in submitting their perspective on finding fall, please send in an original poem and photo by the end of the first week in December so that I can prepare the gallery collection for its unveiling before the official end of fall. 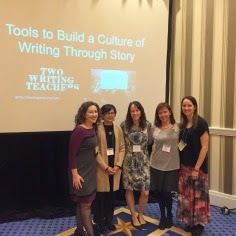 While at NCTE 14 last week, I had the good fortune to attend a workshop with Irene Latham and Amy Vanderwater. Before the workshop began, I was able to meet in person several of the other Poetry Friday writers. Take a look at the "ussie" photo below. Do you recognize some of the faces? Now, stroll over to Carol's Corner for the Poetry Friday Round Up. Carol wrote an original poem about her family and how good life is. I hope everyone had a relaxing and happy Thanksgiving. There is nothing better than meeting up with a connected educator in person. First time moments are sheer joy. Eyes meet eyes and bear hugs spontaneously happen as a genuine greeting of friendship. When you connect via social media there is a bond that forms. Lives are shared. Learning is exchanged, and friendship is developed, but when there is a meet-up, the friendship is solidified. It is quite an interesting feeling to have an online acquaintance meet-up. I have experienced many such "aha moments" this past week at NCTE 14. 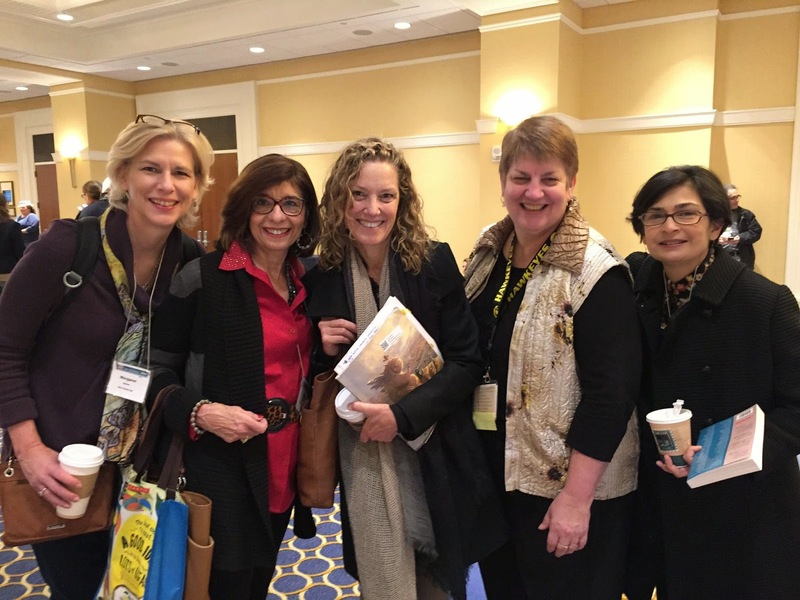 To the right are my Twitter buddies, now face-to-face friends, with whom I met up with and spent many stellar moments at NCTE 14. These lovely ladies are slicers, poets, and friends who make me smile as we learn together on line or write as a community for Slice of Life, Poetry Friday, DigitLit Sunday, Celebrate This Week, or Spiritual Journey Thursday. Margaret Simon, Julieanne Harmatz, and Fran McVeigh have even joined me as REFLECT WITH ME writers for my global galleries of artistic expressions. 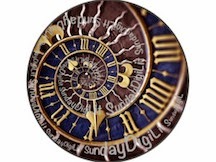 You can view their poems in the latest gallery that I unveiled: Summer Serenity Gallery. Tara Smith will join us in future galleries. 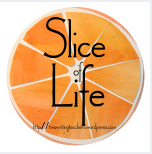 Please visit Two Writing Teachers for the Slice of Life Story Challenge. This past week was one to celebrate learning and the joy of community. 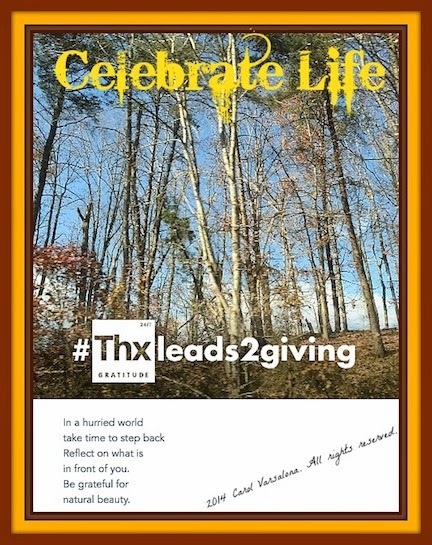 Each week Ruth Ayres invites individuals to reflect on their week and link up at the Celebrate This Week site. Below is a graphic I created after the exceptional four days of learning at the National Council of Teachers of English 2014 Convention in Washington, DC. A pleasant, safe ride with family to Washington, D.C. for NCTE 2014, despite crazy drivers on the parkways. Face-to-face meet-ups with Twitter friends from Poetry Friday, Two Writing Teachers, Wonderopolis, NYEDChat, and Nerdy Book Club. Three wonderful family get-togethers for dinner at a Thai, Mexican, and Korean restaurant. It was fabulous combining a professional trip with a family visit. 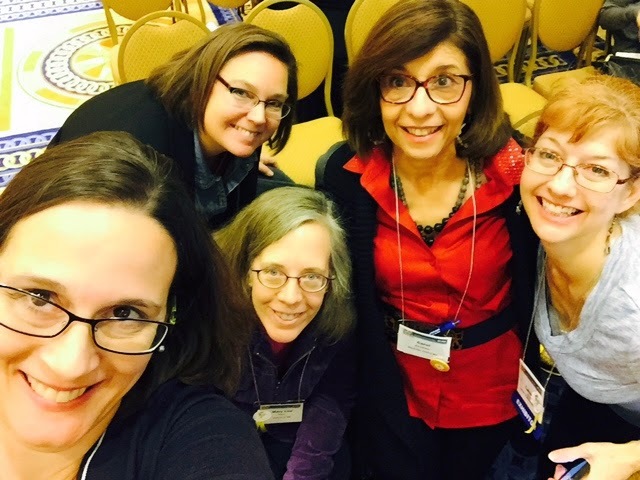 Since I am overdue with this post, I will leave the part about growing as a learner at NCTE 14 until another day. May everyone celebrate a week of Thanksgiving joy with their family and friends. Don't forget to check out the other posts by the Celebrate this week writers! Okay, so Halloween is over but who can resist a challenge from Michelle Barnes! She invited interested writers to create a monster-inspired haiku from the point of view of a favorite Halloween monster. This creepy task was inspired by Bob Raczka who wrote a delightful holiday children's book Santa Clauses, in poetic form. When Dark Shadows was on television, I was fascinated by Barnabas Collins' dark character. Before that time period, there was Bella Lugosi starring as the suave but terrifying Count Dracula, so my monster of choice, lurking in the corners of my mind, is a vampire. I have been thinking about this monster haiku for weeks now but my monster just didn't want to speak to me. He was lurking like we sometimes do on Twitter conversations, just waiting for the right moment to appear. 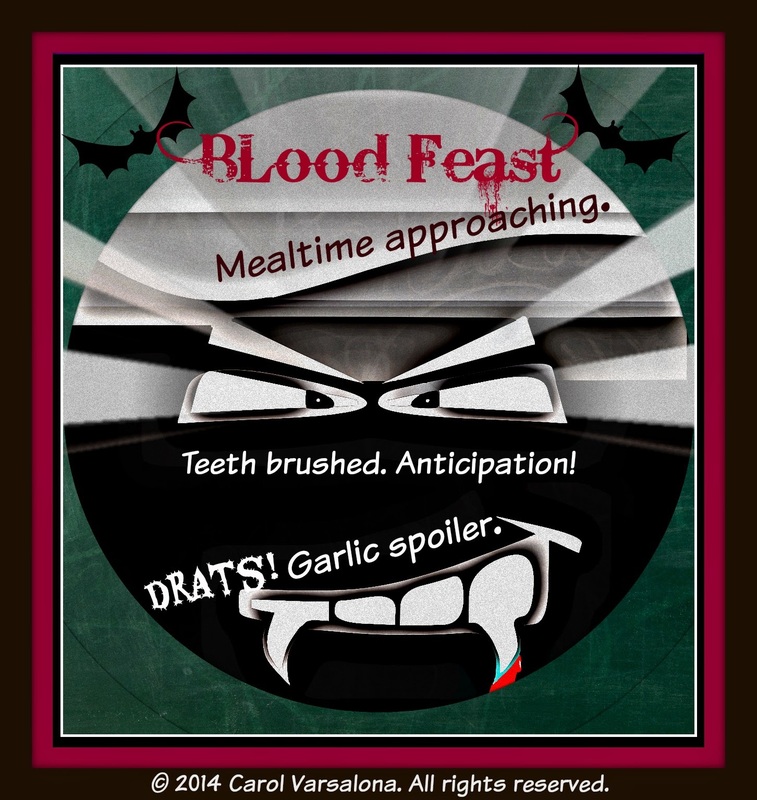 Listening to the voice in my head from one of the minions of Count Dracula's vampire network, I created a haiku to be read aloud on one dark and dreary night or perhaps during one of the days leading up to Halloween. While writing I reminisced about the Harvest House I hosted each year as a schoolwide read aloud experience. If I had a group of students to read with now, I would feature this poem in a Harvest House-like experience, complete with a sensory walk through of realistic and virtual fall scenes. Following this I would ask the children to create their own monster-inspired haiku with an accompanying sketch or digital image. 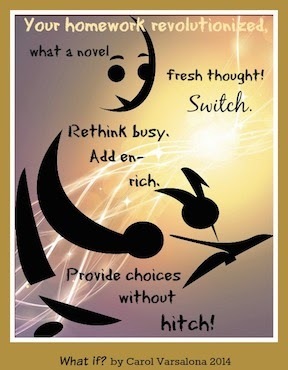 The image below was created with a free photo on Pixtabay that was enhanced and via PicMonkey with a superimposed haiku. For those interested in writing their own monster-inspired haiku you can send your delight to TodaysLittleDitty (at) gmail (dot) com. All contributions will be collected and published on Friday, November 28, 2014 - the day after Thanksgiving at Michelle's blog site. Find your inner monster and let his/her voice fly for this challenge. I hope you enjoy my offering. Comments are appreciated. Now fly like a bat in the night over to Becky Shillington's blog for Poetry Friday delights. and link-ups to other offerings by a group of writers from around the states. a simple thank you, kind nod, no strife. an offering, a gesture, a link found. who provides eternal wisdom, love. to walk my journey in faith with thanksgiving for life. the stillness, and a call to action. Holly Mueller the host of Spiritual Journey Thursday has brought attention to our call to act each week as carriers of faith and wonder. This week's topic is gratitude, quite appropriate in light of the Thanksgiving holiday that is approaching. You can view other perspectives on gratitude here. May your Thanksgiving holiday be filled with heartfelt gratitude for family, friends, life, and learning. Don't forget to create your own shareable gratitude gram for family and friends to show what you are grateful for this season. Conference anticipation mounts! 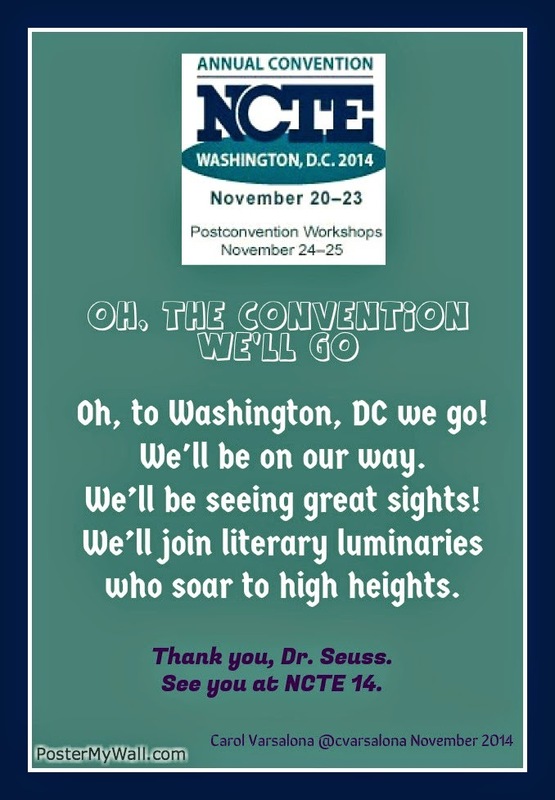 I simply cannot wait for the opening of NCTE 14 in Washington, D.C., the Red Carpet gala for literacy educators. It is here that new learning is shared from one end of the convention hall to the other. Four glorious days of learning, conversing, collaborating, and sharing ideas await me. For those who will not be present at the convention, you can learn alongside tweeters who will bring the latest information in literacy. Please check out the daily feeds (mine included) that will start tomorrow afternoon by following the hashtag #ncte14. There will be many aha moments to read about! Old friends will greet each other; Twitter buddies will meet face-to-face for the first time; literacy luminaries will fill the workshop rooms. 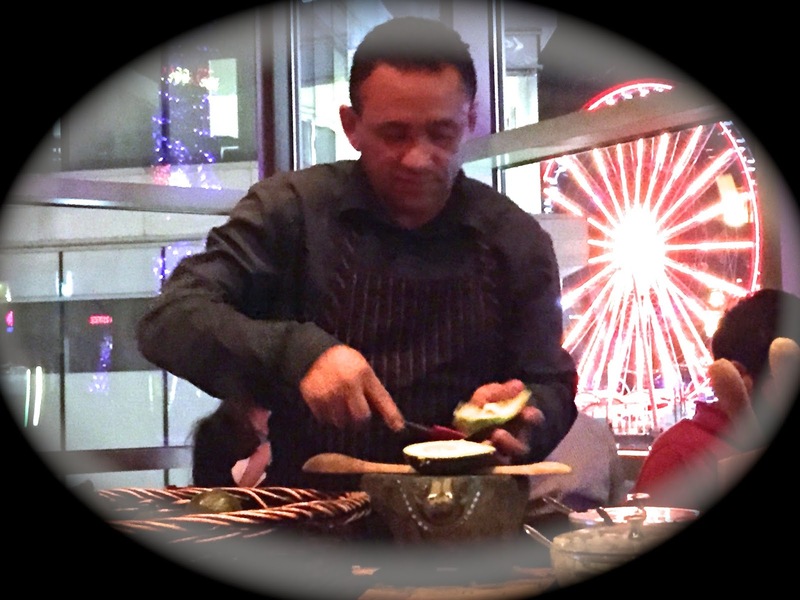 Besides the learning that will be ongoing, vendor exhibits, gala convention activities, author luncheons, publisher events, and meet and greets will round off the experience. NCTE is always a fast-paced, engaging one. First timers be aware-convention fever is in the air. Now, it is time to prepare for tomorrow's ride to Washington, D.C. so I'm off to finish packing. Then, I will continue to plan which sessions to attend using the new NCTE mobile app that I downloaded last night. If you would like to peek at the 2014 NCTE official Program Book, go here for the PDF or here for the digital version. In closing, I would like to thank Dr. Seuss for inspiration for the quick poem, Oh, the Convention We'll Go, that I created using PosterMyWall. This year, I have the unique opportunity to just soak in the learning and not be a presenter. 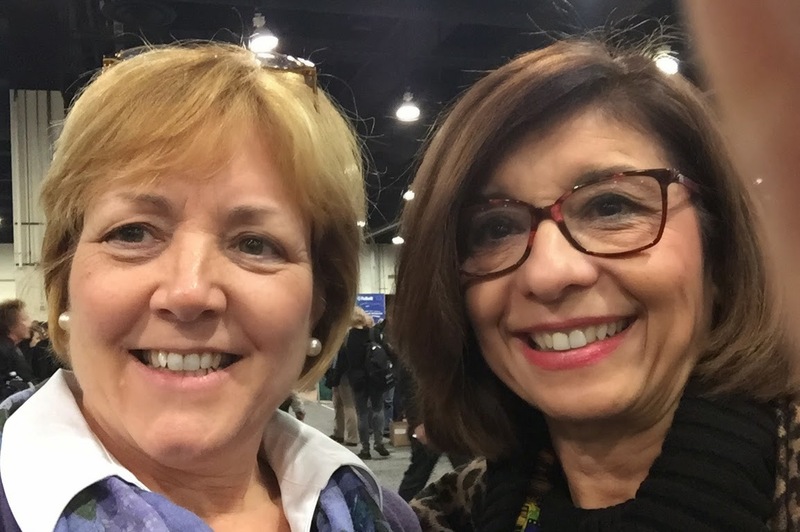 Although I would have enjoyed the experience of presenting again with Debbie Diller to a group of dedicated teachers from around the states, I am perfectly at peace enjoying the convention experience as a learner. 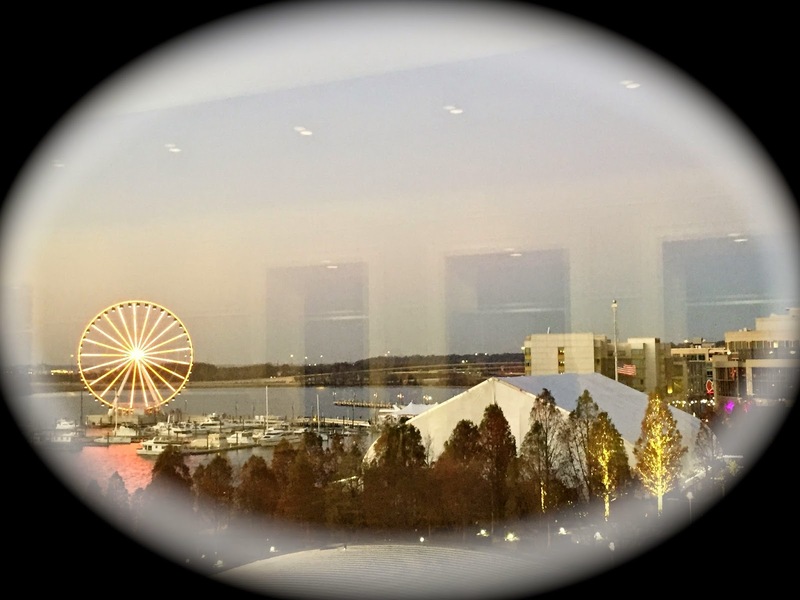 You can read my post-convention reflection of the NCTE 13 Convention, From the Outside of 2013 NCTE Looking Back In, here. Then, come back to my blog site next week to read my 2014 Convention recap. ...I'm off to Great Places! So... I'll get on my way! As I prepared for the #NYEDChat conversation tonight on "Digital Tools to Power Up Instruction," I happened to find the perfect start-up conversation to let my creative juices flow. #BFC530 this morning opened my day with this question: "Authentic #art integration is important. How do you melt the arts into your content area?" What followed was an exciting multi-level conversation that began at 5:30 am ET. That's right! Educators around the country were having an engaging conversation before their educational day started. At the onset of the conversation we discussed "the journey." My response to that was "Passion inspires the journey. There is a quest for knowledge, curiosity to explore and discover, and relationships to develop along the way (of course, this was shortened to 140 characters). Throughout the conversation there were inspiring thoughts and leads to digital tools to bring art to life. One tool that I never explored was Piktochart. Paper was also mentioned. Being inspired to create, I chose Piktochart as my one area to explore this morning before #NYEDChat. This digital platform served several purposes for me, beside being the medium to let my inner voice flow. 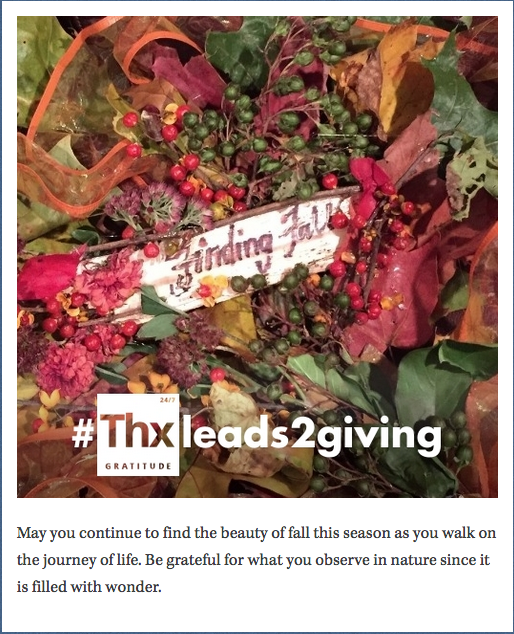 Since I am preparing for the opening of the Finding Fall Gallery, I wanted to create an advertisement to send out via social media sites that would create interest and inspire others to submit a late autumn offering. I also wanted a new go to site to mention during the #NYEDChat conversation tonight at 8:30 pm EST. Lastly, I wanted to have a different approach for DigiLit Sunday's blogging site (even though this is a day late in coming). Conversations always spark my thoughts and today's #BFC530 did just that. 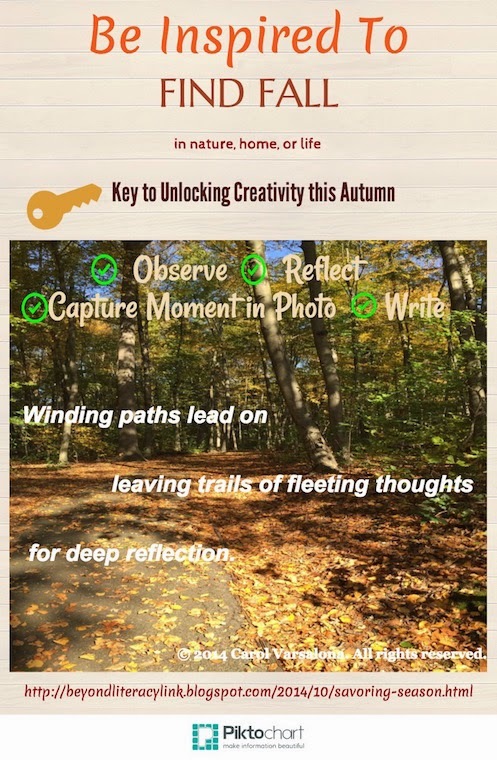 Connecting a digital tool with an image from a fall walk in the trails in my neighborhood, allowed me to create a haiku for my advertisement. I hope you find my first attempt at Piktochart engaging. If I was to introduce this poster to a class of young writers, I would like to introduce music to allow for another medium to engage my learners. The song, Some Call it Autumn, Signs of Fall for Children, is a delightful song to inspire observation. let your voice fly to inspire others. Gone are the days when teachers work in isolation and don't share what they do. so reflection is essential to affect change in practice. Monday and Wednesday of this week, I was involved in professional development that allowed me to design and implement relevant and meaningful learning opportunities for teachers. In order to power up instruction, professional training must be relevant and meaningful, develop connecting relationships, and have opportunities for choice. I have tried to place these components in any professional development program that I run and honor the feedback that I receive to improve my craft. 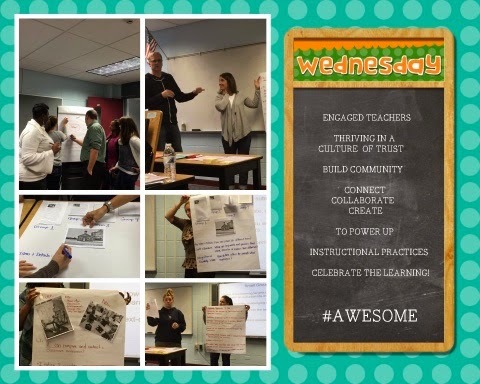 The photos below are from a professional development program, Teaching Students to Ask Deeper Questions to Uncover Meaning in Text, that I facilitated at Western Suffolk BOCES on Long Island. The teachers came from many different districts and although they did not know each other they were able to form bonds to work on standards-based instructional materials related to their grade level that focused on strong questioning techniques to engage learners. The type of collaborative environment that is seen in the photos is an example of the power of connections. Lately, Twitter chats are full of questions exploring the reasons why professional learning networks are instrumental in today's educational world. Meeno Rami emphasizes this point in Thrive. "If we are striving to create a system where the role of the teacher is no longer the lone expert in the room but a co-learner, we need to model that for our students, as well." 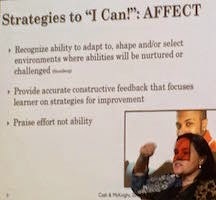 (p. 16) The example above shows the "connectedness" of twenty-five teachers from across Long Island that were part of my professional development program last Wednesday. Eight groups of teachers connected, collaborated, and created lessons to power up their instructional practices for their learners. Reflection and learning were celebrated on that day. Each teacher walked away with several new tools to add to their literacy toolbox and a short commitment statement to teaching and learning. I celebrated their learning. In addition, I celebrate the follow-up work that these teachers will do to continue their learning. We know from research that one shot PD is not effective. Therefore, building and district meet-ups are essential. Conversations revolving around rich practices, protocols, and student work to create next steps will be effective means of immediate professional development. Lastly, I celebrate asynchronous learning that can be sought via Twitter where educational chats are in abundance. 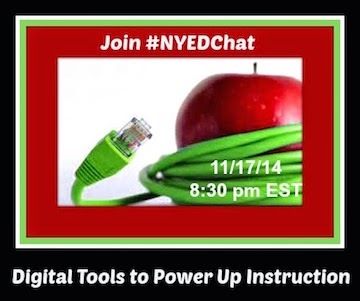 As an example, #NYEDChat will present a discussion, Digital Tools to Power Up Instruction, on Monday, November 17, 2014 at 8:30 pm EST. All are invited to engage in this conversation. Each week, Ruth Ayres asks us to celebrate our week at her site, Celebrate this week. Please stop by to read the posts from various writers on how they celebrated the experiences life had to offer them during the week. Tonight, I sit listening to the news with wide eyes and a stunned look. I just heard the word snow repeated several times. When I was a child living in Central New York, it was not unusual to have snow fall gently around Thanksgiving holiday but I have never seen snow this early. Because of nature's surprise, I have found a poem to lead into my third zeno composed from an AccuWeather.com weather report headline. This poem has a strong visual that is in sharp contrast to the collage I created for the Finding Fall Gallery. I am in the midst of listening to weather reports and collecting original poems and photos for the Finding Fall Gallery. 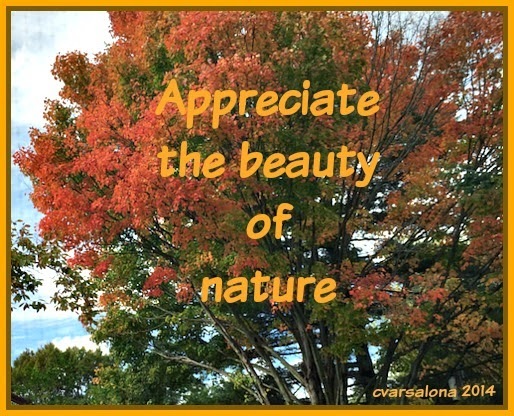 It is my hope to have an amazing collection of autumn splendor by early December. You can send your offering to cvarsalona@gmail.com. Now it is time to stroll over to Poetry Friday, hosted by Keri Collins Lewis. There you will find Keri's tribute to her Dad and many other offerings from the Poetry Friday writers. Yesterday was a day of aha moments starting from an early morning drive across Long Island to a professional development program that I was presenting. Although a fog was predicted, I found the ride to be pleasant as I viewed the different hues across the highway. November's glow was definitely present until I almost reached my destination. 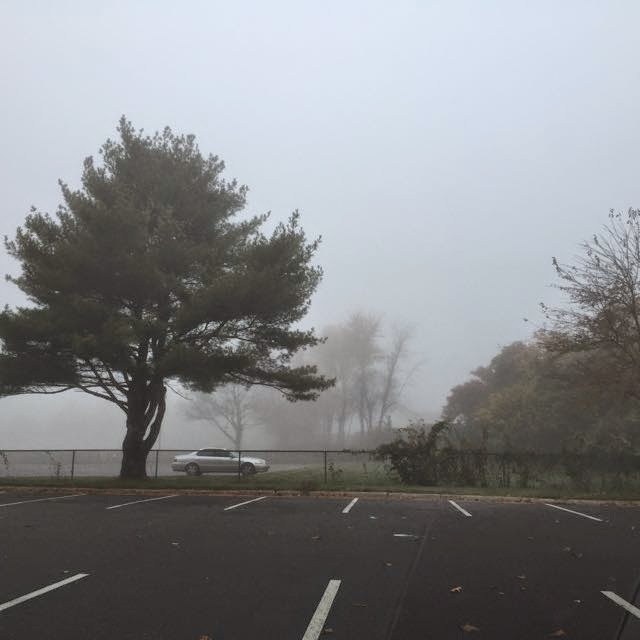 As I traveled closer to the BOCES training site, I was transported into a mystical type of a fog that hovered over the highway and onto the streets of Wheatley Heights. The gray mist surrounded me and erased the colorful autumn morning. On the Sirius station a song called Autumn Dream was playing. I mused. Am I entering an alternate universe that changes life so quickly? I needed to capture that moment to write about it later, so I stopped to take a photo. Later last night, I popped onto Twitter to join a few educational chats. I found this tweet from a Twitter buddy. A conversation ensued that left me thinking about our journey in life. These several aha moments percolated in my mind overnight and I was led to create this poem for Holly Mueller's call to write for Spiritual Journey Thursday. As you can see, I wanted to place emphasis on the fog that I entered but the original photo did not capture the depth of what I saw. The edited photo, using PicMonkey, allowed me to capture the essence of what I experienced and become the perfect backdrop for my thoughts. Reflecting back on what Wade said, I note that joy is present in life when we listen to the Divine Voice. Here is some wisdom from Revelation 3:20 to strengthen this thought. As the Difference Maker of life, the Lord can open the door for us to join Him on this path. Below, you can listen to NeedtoBreathe's song/video, Difference Maker but if you want clarification on the meaning behind the song, please go to Holly Mueller's Spiritual Journey Thursday site to listen to NeedtoBreathe's interview. 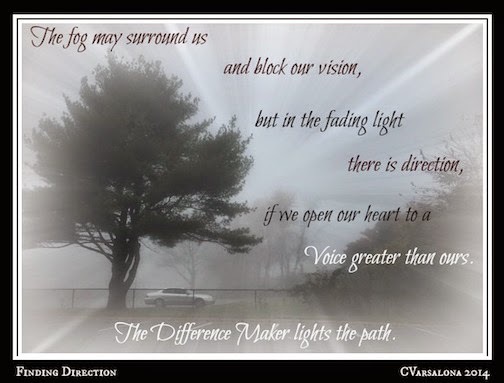 At Holly's blog you will also find link ups to other writers' viewpoints on the topic of "Difference Maker." Last week, I celebrated learning. 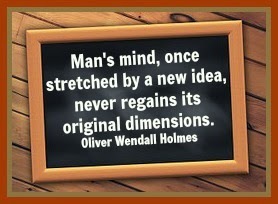 My mind was stretched by many new ideas. garnered through various professional development opportunities. I connected, reflected, and grew as a learner. Perhaps, you have had a week like this also. My week of learning started with #NYEDChat's convo on "The Homework Dilemma." I was proud to co-moderate the conversation, so I decided to write a poem, "What if?," for the evening event to shed light on my thoughts. You can read the poem here. The educational chat was amazing. There were so many different voices providing their views on the issue of homework and best yet, the convo trended on Twitter. 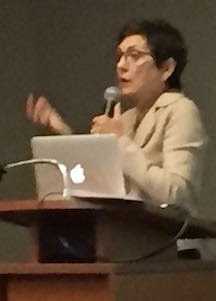 Midweek, I attended a Long Island Language Arts Council workshop, sponsored by Marty Vainder from The Chapters Group, presented by national literacy consultant, Dr. Katherine McKnight who delighted the audience with her sense of humor. 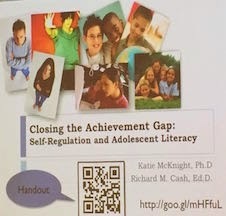 She introduced the important topic of self-regulation in learning in her workshop entitled, Closing the Achievement Gap: Self-Regulation and Adolescent Literacy. With a generous spirit of collaboration and connectedness, Dr. McKnight graciously provided the group with a QR code to access handouts online. You can find her materials here. She began with the premise, "Children who possess a strength of resilience are more likely to be well-adjusted, and self-regulated toward success." (Bucknere, Mezzacappa & Beardsle, 2003) Therefore, "instruction in reading, writing, listening, speaking, and language must be a shared responsibility across the curriculum." Dr. McKnight continued with a look at the structure of the balanced literacy period and introduced the concept of centers to allow students to to develop self-regulations skills. She provided sound resources and inspired many to try some of her ideas. I was so impressed with her materials that I shared them at a professional development workshop that I presented yesterday. Following this workshop, I attended Nassau Reading Council's professional development session with Carol Jago, distinguished English educator, author, and former President of the National Council of Teachers of English. This session was sponsored by Heather Herrero and Jennifer Glennon from Houghton Mifflin Harcourt. Carol Jago's presentation, entitled Closer Reading for Deeper Learning introduced strategies and resources for helping students develop mental muscle. An interesting part of her presentation led the audience to reflect on the paintings of Chuck Close. She also allowed participants to explore videos and poetry to uncover meaning, for she believes that close reading is a habit of the mind. Some informational texts that Carol Jago referred to are: Locomotive by Brian Floca, Titi Puente Mambo King, Barbarians, Wild Tracks, Invincible Microbe-Tuberculosis by Jim Murphy, Mountains Beyond Mountains by Traci Kidder, The Good Soldiers by David Finkel, and Beyond the Beautiful Forevers that reads like a narrative. A thought that resonated with me is "Reading isn't a subject it is verb." Besides these engaging workshops, I participated in several chats on Twitter. As always, I connected with many educators and people from the business world to broaden my perspective on life and learning. My week ended with the Poetry Friday authors, poets, and educators who always broaden my horizons and stretch my limits in writing, as exemplified by my post, showing the zeno poem that I created for #NYEDChat. Ending my week with Diane Mayr's call for the Poetry Friday Round-up rounded off a week of growing as a learner. Because of an unforeseen tragedy written about in the post for #SpiritualJourney Thursday, I was unable to complete my blog for Ruth Ayres' Celebrate this week so this post will serve a dual purpose: linking my thoughts for both the Celebrate this week and Slice of Life writing communities. What If? is my second attempt at writing a zeno poem that was inspired by the November 3, 2014 #NYEDChat conversation set in motion by moderator Daniel McCabe. 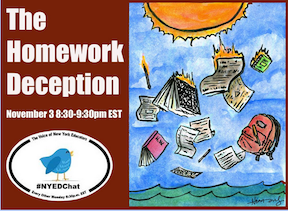 As the #NYEDCHat co-moderator for the night, I wanted to respond to the topic, The Homework Deception, in a creative way. Hence, I wrote, revised, rewrote, and then decided on the graphic to pull the format together. Before the poem was made public, I called on a connected educator to critique the format. Who better to ask advice from than Michelle Heidenrich Barnes, who collected and showcased zenos during the month of October? Michelle responded quickly, in between her daughter's dance class and son's karate, and gave me the thumbs up to "go for it." I also asked Matt Forrest who has written many original zenos to look over the What if? zeno poem. Matt also responded favorably so I let the zeno fly during the chat. If you would like to view the flow of conversation on "The Homework Deception," you can access the transcript here. The chat was fast-paced and engaging; participants tweeted responses to thought-provoking questions posed by Dan McCabe. Much to the moderators' delight, the #NYEDChat convo was reported to be trending on Twitter. There is power in being connected. Now please stroll over to Random Noodling for the Poetry Friday Round-Up. Today's host is Diane Mayr who has a magnificent picture and posting of the November skies. 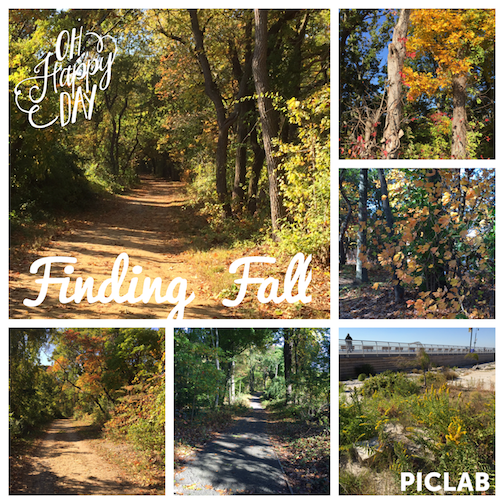 REMINDER: I am gathering original poem and photo combinations that depict the theme "finding fall" for the Finding Fall Gallery. Information can be found here. I am excited to showcase the work that has been coming. How often do we crash when sudden, tragic challenges come our way? It is part of the human experience to do so, but there is a way to circumvent a reeling downward spiral that sometimes happens when untimely, critical issues intersect everyday life. Last Sunday, one of the cathedral priests delivered a message to the parish that resonated with me. When a challenge arises, see it as a change in life, not the end point. These words reminded me that strength can be derived from faith in the Divine Lord when we are in the midst of chaos. This is not an easy task when faced with deep sorrow but it is a necessary one. Life filled with misery and distress is a lonely place. With conviction we can slowly move out from the edge of darkness into the light knowing that strength is provided to us from a loving Creator. Last weekend's homily rang with a a message of hope in the power of the Divine to support us, especially when life's challenges make the burden heavy. Life is fragile and changeable. We must listen to the Divine Voice to push through the issues, challenges, and tragedies that befall. With a mindset that is open and a heart willing to hear the message of faith and the promise of hope, we can recover from every fall, hardship, and trauma for the Lord is our strength. While writing this post, I heard of a sudden and tragic incident that occurred to a friend's family, proving that life is indeed fragile and changeable. The conversation took my breath away so my thoughts and prayers go out to the family. I know that words cannot override the grief during this time of need, but I can ask that the family be covered in grace and held in the hands of love. 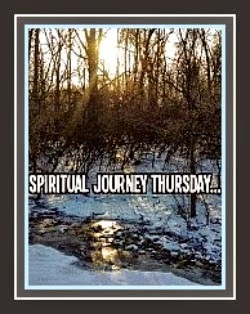 When the Spiritual Journey Thursday topic was chosen, little did I know how relevant it would be this particular week. Although faith in the strength of the Lord is an important daily pursuit, deep faith is needed in the face of tragedy. May there be a message of hope that life has just changed not ended for those who suffer and the feeling that they will be uplifted and provided strength in their days to come. Thank you to Holly Mueller the facilitator of Spiritual Journey Thursday, who created this week's topic, The Lord is My Strength. It is as though the Lord spoke to Holly to choose this topic for us all to examine. "as thy day, so shall thy strength be"
"as thy day, so shall thy strength be." That "as my day my strength shall be." That, "as her day her strength shall be." by Lydia H. Sigourney © 1999 Papercut Press, Inc.